Beginning in 2016, West Nickerson Street will be alive with the sound of music. 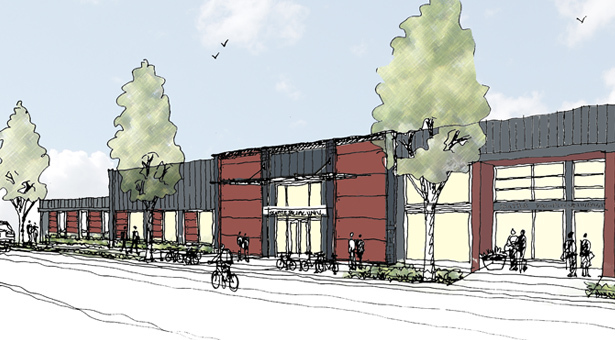 Buildings that formerly housed a marine equipment company and a martial arts studio next to SPU’s Human Resources Office are being transformed and renovated to help house SPU’s Music Department. SPU purchased these buildings in July 2014 as the final piece of property within the University’s master plan zone. The new space will include six faculty offices, two ensemble practice rooms, and a choir/recital space. Additionally, the recording studio and piano lab currently housed in Beegle Hall will be relocated. This allows the recording, practice, and recital spaces to be integrated for expanded recording capabilities. It will also allow practice rooms in Crawford Hall, which had been converted to faculty offices, to return to their original purpose. Also: The Burlington Northern Santa Fe Railway gifted $328,220 of property to SPU, currently in use as a parking lot along the northern perimeter of campus.